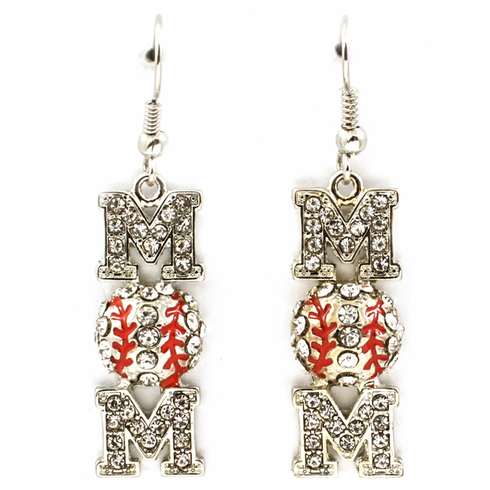 This pair of Baseball Mom hook earrings features silver crystal baseballs with red stitches. Each vertical Baseball Mom charm measures appx. 3/8" wide x 1 1/8" tall.